Provide comfort for the family of Anita Jarosak with a meaningful gesture of sympathy. Jarosak, Anita, age 80 of Minnetonka passed away peacefully surrounded by family on December 18, 2018. She will always be remembered for her witty sense of humor and her quirkiness and love of her grandchildren. Preceded in death by her loving husband Mike; brothers Donald, Melvin and Paul, and sister Virginia. Survived by her children Deb (Dan) Barr, Mark Sousa, Cathy Lukasavage and Brian Jarosak (Becky Althoff) and grandchildren, Jennifer, Michael, Ryan, Jacob, Brendan, Brittney and Bryn. Funeral service at 11:00 am Saturday, December 22, with visitation starting at 10:00 a.m. at Huber Funeral Home, 16394 Glory Lane, Eden Prairie. 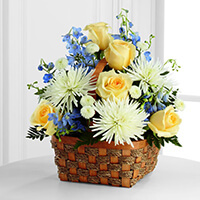 The neighbors purchased the The FTD Peaceful Garden Basket for the family of Anita Jarosak. 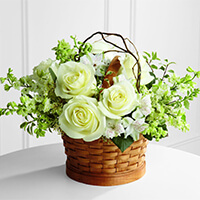 Service Master and Superior Construction purchased the The FTD Heavenly Scented Basket for the family of Anita Jarosak. 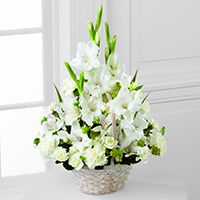 Glenn and Lisa Hauck purchased the The FTD Eternal Affection Arrangement for the family of Anita Jarosak.